Replying to Twitter user @mo7ammad_uj’s question about hiding the Pixel 3 XL’s notch—as competing devices like the Xiaomi Pocophone F1 allow—Google’s account points out that it is indeed an option in Android Pie, although one currently only available inside a hidden Developer Options page. 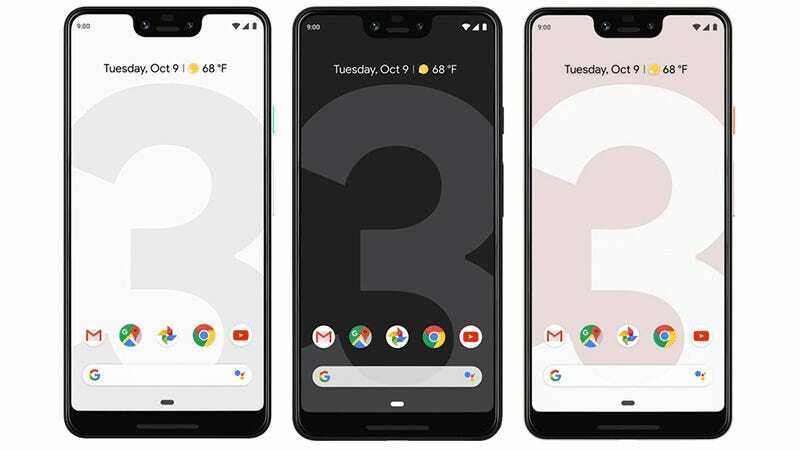 The option will certainly make some potential Pixel 3 buyers happy, and we’ve reached out to Google to find out if the disappearing act will eventually be made more readily available to consumers, but the phone’s camera lenses and speakers up there aren’t really going anywhere. Instead, with the option turned on, the small sections of screen on either side of the notch simply get blacked out, creating a large bar that runs all the way across the top of the display. Whether those areas will always be lost screen real estate, or could one day be used to show status icons, is unclear. But users testing the developer option have found Android Pie’s clock and other icons simply pushed down and placed below the added black bar. Has Google convinced you to switch yet?